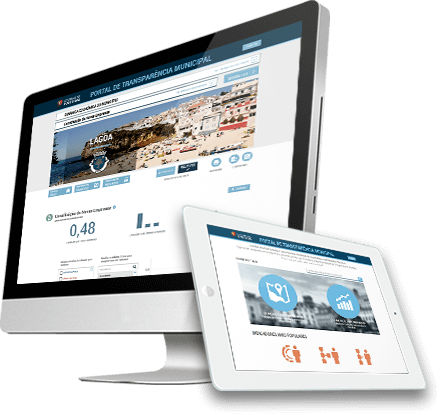 The Municipal Transparency Portal is a Portuguese Government initiative to increase transparency of public administration management toward citizens. The Portal enables exploring more than 100 KPIs about the 308 Portuguese municipalities, gathering data from different public databases and publishing it in a simplified way accessible to every citizen. This portal allows Portuguese citizens to know the reality of their municipalities. Xpand IT demonstrated a profound technical knowledge and helped us to improve the quality of our democracy and democratization processes through this innovative solution. Xpand IT was selected to create a simplified and user-friendly online platform with a wide set of municipal KPIs, providing citizens with a full picture of their municipalities in a simple and appealing way. Pentaho, as a modern and embeddable software platform, that allows the user to access, visualize and quickly analyse large volumes of historical data, was the most adequate choice. It’s ETL capabilities to migrate customer data into its data warehouse, were also key when developing this solution.